July 16, 2015 July 16, 2015 Posted in Breakfast, Food, Snacks. Sometimes it is nice to have a bit extra for weekend’s breakfasts. 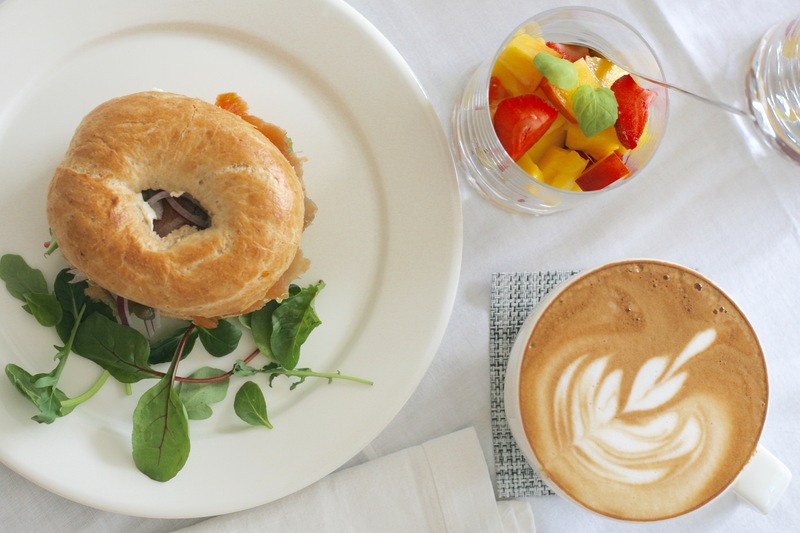 These bagels are just perfect for upgrading your regular breakfast with minimum cooking time. 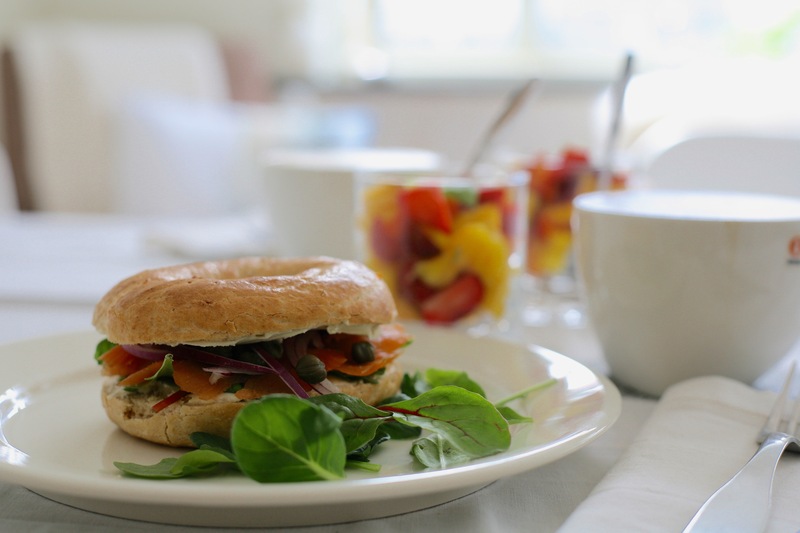 We just bought frozen bagels, heated them in oven and filled with our favourite tastes. Of course you can just bake the bagels, but then it is not this simple anymore. Last weekend we wanted to keep it simple. We had creme cheese, salads, smoked salmon, red onion and capers as fillings. Hmmm.. Chop fresh fruits into bowl and make your favourite coffee to the side.